Don't miss these events in Cambodia! 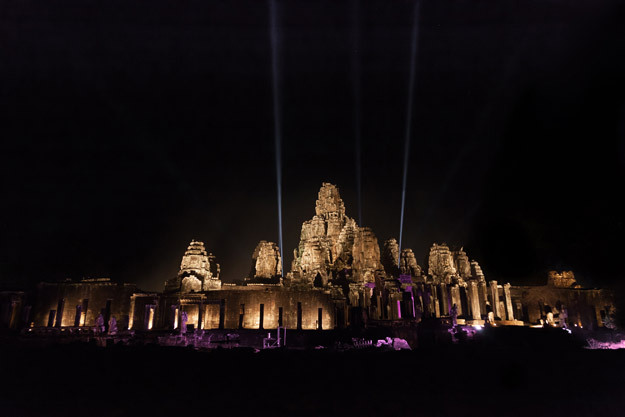 But if you’re looking to expand your horizons and really get a feel for the intensely spiritual and rich culture of Cambodia, there are some absolutely unmissable events that will really bring the history of this ancient kingdom to life. From national holidays harkening back hundreds of years to Buddhist festivals celebrating the sacred rituals of the country’s main religion, there are plenty of fascinating occasions to indulge your senses in during your Cambodia tour. Perhaps the most famous of Cambodia’s annual events, Bon Om Tuk, or the Water and Moon festival, is a significant part of any Cambodia travel itinerary. Between October and November every year, the streets of Phnom Penh are transformed into a frenzy of festivities, as over 250,000 revellers celebrate the annual water festival. This historic event celebrates the beginning of the dry season and the reversal of the flow of the Sap River, which builds up more and more water in the months before the festival commences. Eventually, heavy rains force the river to back up and it begins to flow northwards, flooding the Tonlé Sap with fresh water and rich sediment. This creates a fertile source for fish and nourishes the surrounding farmland. To celebrate this natural boost to the local agricultural economy, over 400 boats take to the waters to compete in the annual boat race. A true spectacle to behold, you will be blown away by the precision, agility and speed of these expert oarsmen as they sweep their colourful boats through the water. One of the biggest events in Cambodia for locals and visitors alike, Phnom Penh becomes host to thousands of people enjoying longboat races, music, dancing, fireworks and a feast of glorious local delicacies to sample along the way! Pchum Ben is a religious festival with its name deriving from several roots. The Cambodian word ‘Ben’ means ‘to collect’, but also refers to the moulding of cooked rice into portions in the traditional manner adopted by locals. However, ‘Pchum Ben’ also translates to ‘Ancestors’ Day’. These elements combine perfectly to summarise the purpose of this celebration, whereby Cambodians pay their respects to deceased relatives from up to 7 generations along the family line. The common ritual during Pchum Ben is to ‘Ben Baht’ – to collect food to give to the local monks. On the final day of the festival, Cambodian people visit the pagoda and dedicate food offerings to the dead. This 15-day ritual is performed because it is believed that the gates of hell open once a year directly after the festival, so ghosts of the deceased are perceived to be particularly active, able to benefit from the food offerings. It is not uncommon during this time to see rice balls thrown through the air or grains of rice scattered in an empty field. Monks chant short statements called ‘suttas’ in the Pali language throughout the night, and order in the underworld is restored. Celebrated on the 9th of November each year, Independence Day is an uplifting day observing the date that Cambodia gained independence from France in 1953. Through a series of galas, parades and fireworks displays all across the country, Cambodians celebrate their freedom and cultural identity on this important day. 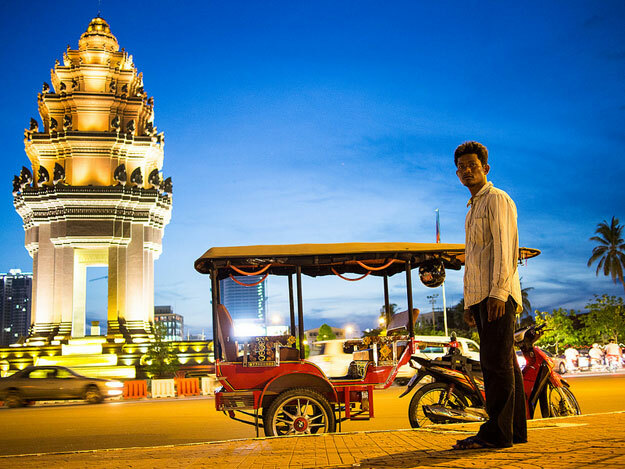 Phnom Penh serves as the hub of the festivities, where a formal ceremony is hosted at the Independence Monument, situated at the junction of the Preah Norodom and Preah Sihanouk Boulevards. Every sense will be scintillated as you witness a dynamic cavalcade of colourful floats and marching bands parading in front of the Royal Palace in true exaltation. 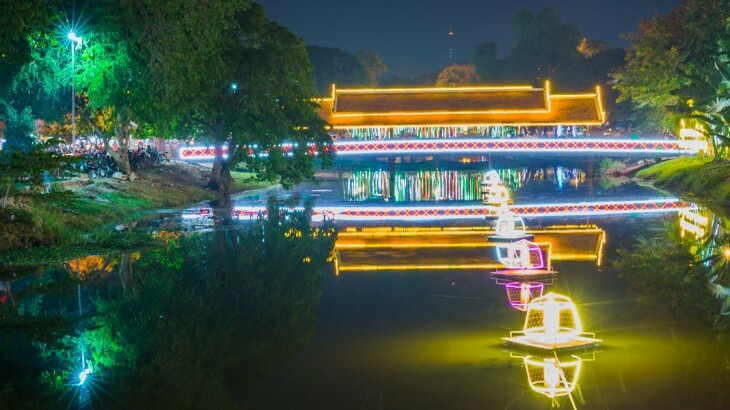 Later in the evening, enjoy some delicious street food and walk along the riverbanks of the Royal Palace, illuminated in beautiful coloured lights, as glorious fireworks dart through the sky. Vesak Bochea falls on the 15th day of the waxing moon during the 6th lunar month, often falling within the month of May. A Buddhist religious festival, this event quite literally lights up the nation. On the evening of this day, candle processions take to the streets, creating a breathtaking array of colour and light glistening in the night. The main shrine is circled three times, and members of the procession carry flowers and glowing incense sticks to pray silent rest to Buddha. Early in the morning, people visit the temples to offer food and sweets to local monks, listening attentively to their preaching on living a good life. Vesak Bochea is often referred to as ‘Buddha’s birthday’, but in fact it symbolises the cycle of birth, enlightenment and death of Gautama Buddha in the Theravada Buddhist tradition that 95% of Cambodians follow. A truly enriching experience, you will be inspired as you see Cambodians everywhere making concerted efforts to bring joy to the unfortunate, offering gifts to charities and sharing amazing vegetarian dishes with one another. For many, Khmer New Year is the most important event in the Cambodian calendar. Even the busiest of streets will go from a buzzing hub to a quiet hum as Cambodians leave their daily errands to spend the treasured holiday with their loved ones. After months of hard work during the harvest season, and meticulous cleaning and cooking to prepare for the holiday, these three days in April serve as a period of rest for families across Cambodia. Farmers enjoy the fruits of the recently finished harvesting season and relax before the rainy season begins. 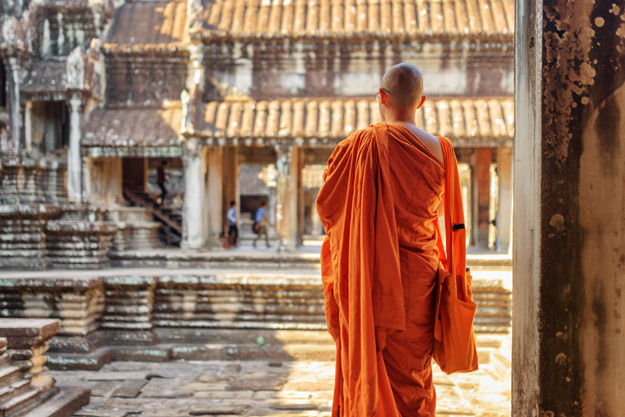 Locals spend their free time visiting temples to receive blessings from monks and priests. They gather to build sand hills on the temple grounds, decorating them with five religious flags intricately arranged in symbolic patterns to represent Buddha (the middle flag) and the five disciples signified by the flags surrounding the outside. Cambodians also follow the sacred tradition of sprinkling holy water on one another’s faces in the morning, on the chest at midday and on the feet in the evening. This water often features different colours to symbolise the colours of future life. They also throw powder on each other, creating a stunning array of colour and texture. 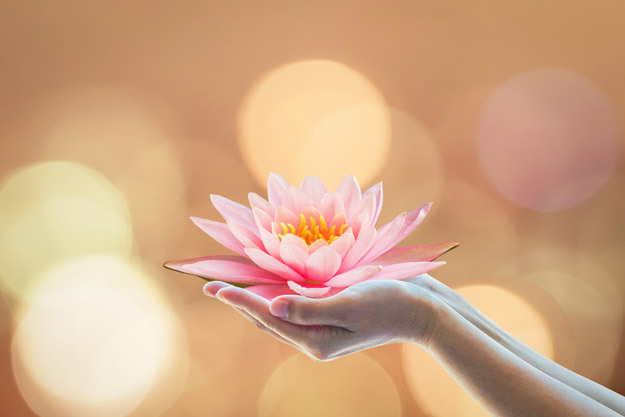 During this season, gifts and tips are especially auspicious, so remember to accompany your offering with the phrase ‘Sok Sabay, Ch’nam Tmey’ – Happy New Year! Of course, you don’t need to visit Cambodia during a national festival to have the time of your life, as Clarisse Panuelos from the travel and food blog, The Tummy Train, explains. Seeing the carved faces at Bayon Temple was her favourite moment of her trip to Cambodia in December 2013. 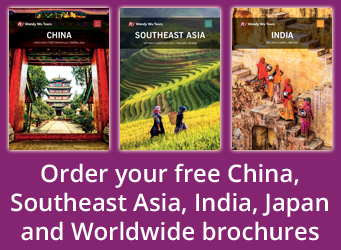 Book a fully inclusive tour of Cambodia with the UK’s leading Asia Experts, Wendy Wu Tours. Our award winning tours visit all the major sights of Cambodia for an unforgettable holiday. Cambodia cambodia news, culture, festivals. permalink.